To ask Tanya Bullock questions, please sign up. Tanya Bullock Be passionate! Also, write about the little details as well as the big; little details add colour, depth and clarity to a narrative. 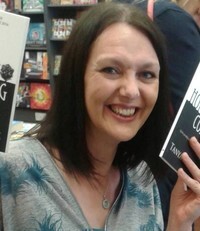 On 27th April 2019 I'll be at Waterstones Walsall from 3-5 p.m. signing copies of my new novel, The Lonely Hearts Crime Club. Come along and meet me and my lovely publisher, Stephanie from Blackbird Digital Books. We'd love to see you there! "Absolutely brilliant, I couldn’t put it down! Such an easy read with a lovely style of writing. The characters were relatable and it kept me guessing til the end. I can’t express enough just how much I loved it. " "First of all, I think The Lonely Hearts Crime Club is a fabulous title and I love the cover. Both compliment this story perfectly. "My first by this author.